When I think of what makes the” U.S. of A” a great country I can not do it without feeling a sense of purpose, motivation, vision, pride, honor, excellence, resolve, determination, adventure, hope, faith, charity, I could go on for a long while.A I never think that the USA is a nation of unemployment and in fact the opposite is true.A I think of the USA as a nation for opportunity and employment. It has occurred to me on many occasions that the ancestors of this great nation would rise above ALL of the challenges that came upon them knowing that there was nobody they could rely on to change their situation but themselves.A My wife often tells me to “Own It!” or in other words take responsibility of all that is expected of me as a provider in our home. [pullquote align=”left”]Here’s the thing, back in the day, people just worked. If they didn’t have a job they found one. They just worked. Of course economies shape everything we do and there will always be times when we are out of work. The phrase “In Between Jobs” takes on new meaning today[/pullquote].Its hard to feel we have a chance to get back to work because there is a message prevailing in the media that tells us the recession is hard upon and somehow Government policy will be the thing that makes the difference for employment or unemployment. President Obama laid out his plan for reducing unemployment during his first term.A During this years Presidential campaign both Mitt Romney and President Obama will continue to politic about reducing the rates of unemployment.A We should not judge Presidents based onA an increase in unemployment rates. The nations leaders alone can not reduce unemployment.A Government policy will not reduce unemployment. 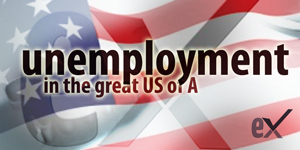 “WE” are the ones that will reduce unemployment in this country.A “We the people” of the great U.S. of A. will be the catalyst for reducing unemployment.A “We the people” can watch out for employment opportunities and if we know others that are looking for employment “We the people” can step in to provide support. July 2012 EresumeX “The Job Portal and Resume Management Solution With EX-Factor.”A launched an ambitious project to help 1 million people back to work.A The EresumeXA free Job Portal is at the core of what they use to drive the project.A Today we ALL can make a change for tomorrow. Join the EresumeX community and register today at eresumex.com.